BlackBerry’s annual BlackBerry Live partner conference kicked off Tuesday morning with a keynote from CEO Thorsten Heins and the announcement of the company’s latest BlackBerry 10 handset, the BlackBerry Q5. Designed for emerging markets, the Q5 is intended to flesh out the lower end of BlackBerry’s new handset portfolio. Details are slim, but the device seems to be the rumored R10 that has been stoking chatter on gadget sites for months now. The Q5 features a Qwerty keyboard and a 3.1-inch touchscreen. 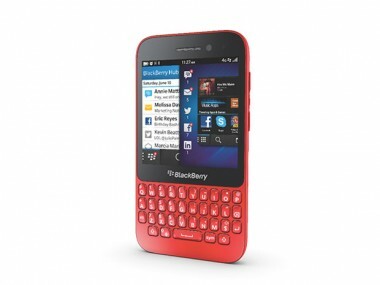 BlackBerry is offering it in four colors: Red, white, black and pink. The company expects to bring the Q5 to market sometime this summer; price has yet to be disclosed. Also announced this morning: BlackBerry 10.1 for the BlackBerry Z10 — which will begin rolling out to U.S. carriers later this month — and BlackBerry Enterprise Service 10.1.